With so much going on this time of year don’t forget about some of the key areas to market your practice to assure a profitable December & January! We have created an easy list of the top four most effective December and January chiropractic marketing you should remember to do. If you take insurance, than this is a MUST! Your patients forget that their insurance benefits expire at the end of the year. They also don’t realize benefits renew at the start of the New Year. Sending an insurance reminder postcard or letter is a great way to explain how their benefits work and how they can “double up” on coverage. This simple reminder will flood your practice with patients which mean more money in your pocket! 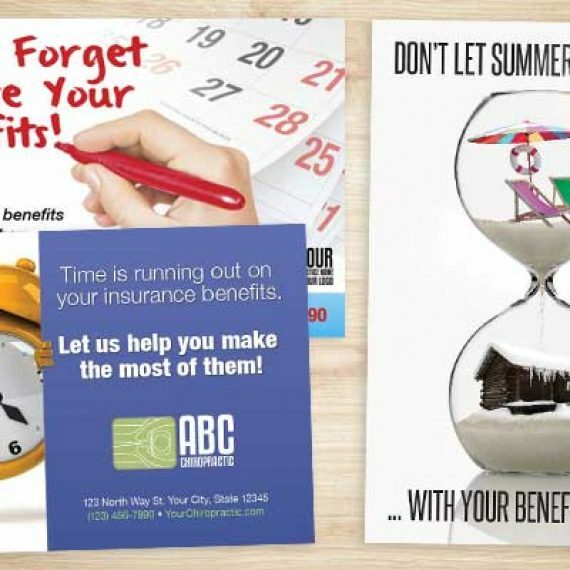 To check out some great insurance reminder postcards: CLICK HERE. 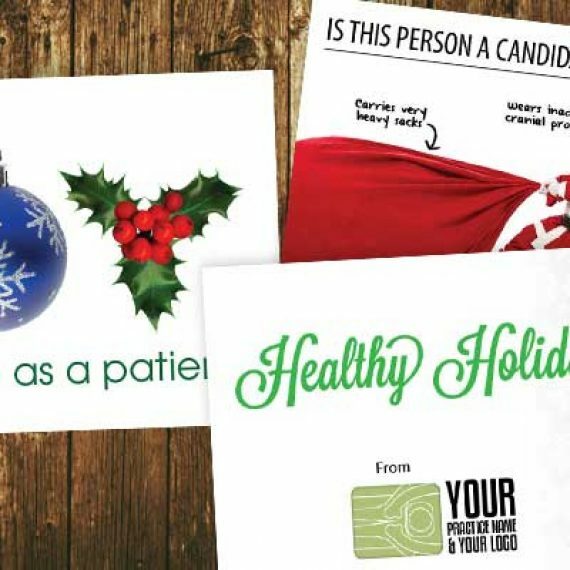 It seems simple, but sending your patients a Thanksgiving card, Christmas card, Holiday card, and/or a New Year’s card stands out. Most businesses don’t do this anymore and as such when you do, it will stand out that much more! 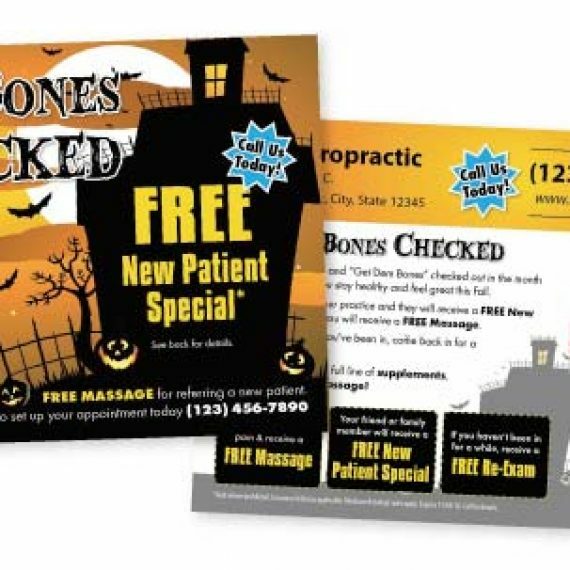 We have regular cards, chiropractic specific designs, funny design, and cards that are designed to show your thankfulness for your patient while giving them an offer. One of our clients has been doing a wonderful Gift of Health card for the past several years and every year it does better. 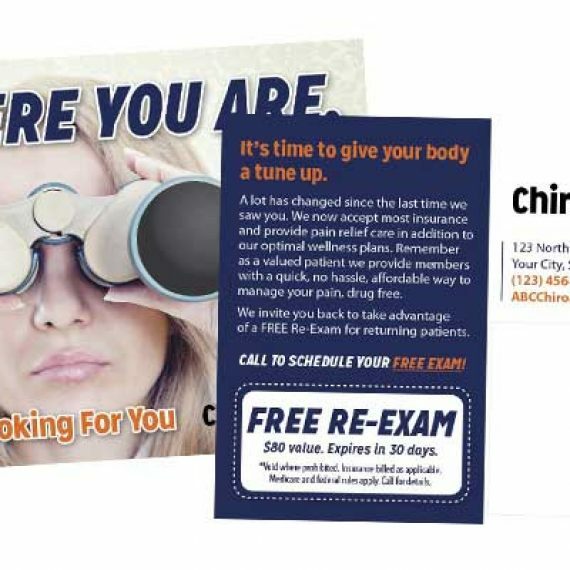 It is doing so well for them that they have referred numerous other chiropractors to do this same campaign that we then customize to their practice and send out for them. To see an entire list of different samples that we can design and print for you or you can opt to have us also send out for you: CLICK HERE. With the weather turning & days getting shorter there are more accidents and they are become more severe. Be sure your patients know you treat auto accidents and that they can refer their friends and family who are in an accident. Have an Auto Accident poster in your office, hand out Glove Box Guides, and have a brochure on Auto Accidents with an offer for a FREE Auto Accident Evaluation. To see samples: CLICK HERE. In addition to keeping your patients in the loop, you should be reaching out to other auto accident professionals like PI attorneys, insurance agents, towing companies, auto body shops and the like. We have specific letters, postcards, scripts, and proven tactics to reach these different industries and establish a referral program with the in our PI Treasure Chest, check It out: CLICK HERE. If it is available in your area, doing some auto accident marketing directly to the recent auto accidents is very profitable this time of year. You can send postcards, letters, or take advantage of a turnkey system in which we attain the list, send auto accident postcards, and setup appointments for you, via PI telemarketing, all through our Secret Weapon Campaign. Learn more: CLICK HERE. This is the time of year to have a structured referral program in office. Educate your patients on the types of conditions you treat, and motivate them to refer. We have an easy and affordable system in place called the Referral Booster, that does it for you. It is only $97/month and is customized to your practice, you can pick the ailments, motivator, and more. 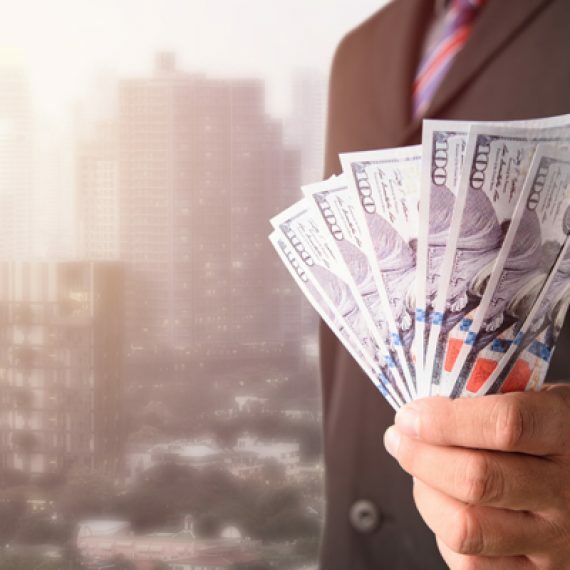 We will coach you and your team how to implement it AND you are covered by our a Money Back Guarantee.To learn more: CLICK HERE.